Gene therapy holds great promise for the treatment of many incurable diseases. With increasing adoption of gene therapy, there is a clear and growing need to secure reliable production. Our Targeted Locus Amplification (TLA) technology has unique advantages in the quality control of transgenic and genetically engineered samples. 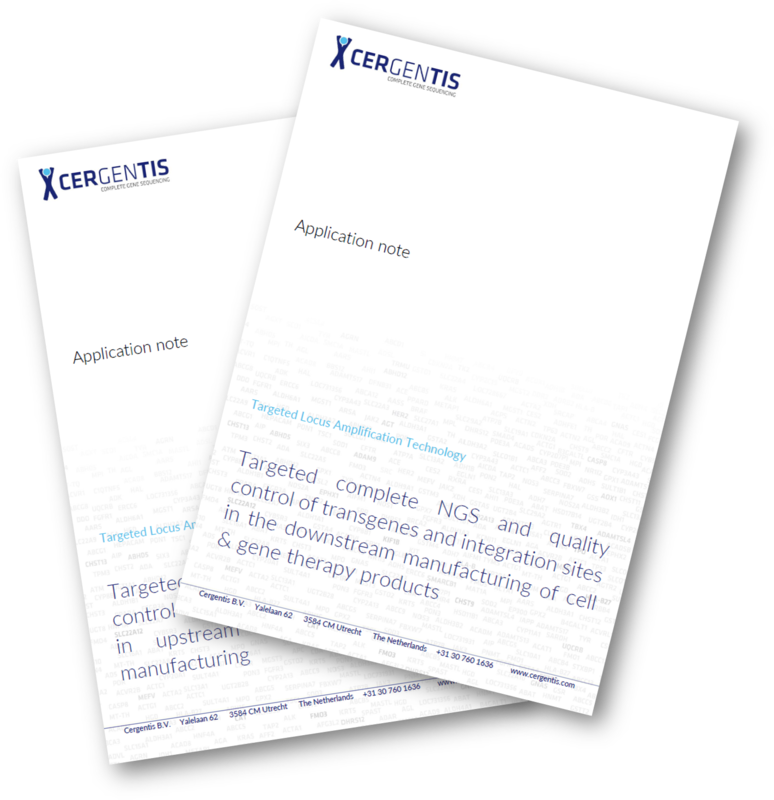 TLA can assess the quality and genetic stability of producing cell lines. Additionally, TLA presents important advantages in the quality control of downstream processes in cell and gene therapy product development and production. Its unmatched ability to detect all SNVs and structural variants in integration sites as well as integrated vector sequences, makes TLA highly suitable for the quality control of genetic engineering results. Moreover, this technology offers a cost-effective and higher resolution alternative to conventional approaches.